Riding my bike out in the rain: few people were out on the trail and it smelled so wonderful. Even when you round a corner and experience that wall of wind. Walking down this one street near where I live, it seems as though everyone is doing their laundry all the time, and it’s marvelous! Pastry treats on Friday mornings. Practicing with my fellow amateur musicians in preparation of our recital in April. 07.03.2016: The winter weather is back, but the rains are steering clear long enough for me to get a good walk in at some stage during the day. Loving all the windflowers popping up everywhere with all the rain. And I can’t remember the hills ever looking so green! It happens pretty much every year, but still, they’re golden for most of it. 09.03.2016: Rain clouds pop off for a little bit to reveal a magic sunset. I was all about the orange reflection on the water, and stopped to just watch the light fade before pushing on. 11.03.2016: I painted the door of my colleague and friend who has been moved on. It’s hard seeing the room empty, but harder still when I see other people using it. 12.03.2016: This weekend is wet, wet, wet. I know rain is great and our dams could really use the water, but it feels like it has been raining forever. The planes are landing the other way, still, so I rode my bike out to where the runway nears the road to watch the planes. But the wind on the return journey was something else! 13.03.2016: A little duck family moved in yesterday. They’ve staked their claim on a small pond on the trail and they’re in it for the long haul. I passed them three times yesterday and twice today. On the last flyby, they’d moved one pond over, still not straying far from their home pond. Here’s hoping they enjoy their pond whilst they last. The super exciting event I mentioned a few weeks ago is finally starting to take shape. And now, I can share it with you. I AM GOING TO EUROVISION! For decades, I have adored all things Eurovision. And now, this year, I’m going. And I could not be more excited about it! What the hell is a Eurovision? But for many of you, you’re thinking “what the hell is a Eurovision?”. Here’s a quick guide. Essentially, it’s war. Just using only songs and sequins. It’s like a giant singing contest with countries located in Europe (like France and Germany and the UK), and now, those that are not (like Israel, Azerbaijian, and now, Australia). Each country picks picks a song and a singer to represent them, and then they perform in on the Eurovision stage, beamed to ten times as many viewers as the Super Bowl. It is intense display of talent, flair and pizzaz as each nation (and its occupants) wage battle against those around them, mixing key changes with costume changes, with a gigantic helping of kitsch. At the end of the evening, each country gets a chance to vote for their favourite song. But it’s not often a fair fight, because it’s really just an opportunity to vote for your ‘friends’ and neighbours in whatever former bloc country you were once from. The country with the most points is crowned the winner of the Eurovision Song Contest. We have a chance to hear the winning song once again, and then the next Eurovision will be hosted by the winning nation. Et voila! And the ESC has been the making of many famous acts in its 61 years in existence. Here’s a few you might know: ABBA won for Sweden in 1974 with ‘Waterloo‘, Celine Dion won for Switzerland in 1988, Lordi for Finland in 2006, Bucks Fizz won for the UK in 1980 (and they’re STILL talking about it!). My family, friends, my sister’s friends, and all manner of other people who have crossed my path know about my fascination with Eurovision. It’s the jam in my sponge cake. I no longer say something is “awesome” or “fantastic”, instead opting for giving something douze points [or dooz-pwah for those of you non-Frenchies]. Here’s even something I wrote about it a few years ago. There’s just something about Eurovision that is beyond marvellous to me. It’s a mix of crazy songs, kooky outfits, and sensationally good/bad performances. In fact, the worse it is, the better. 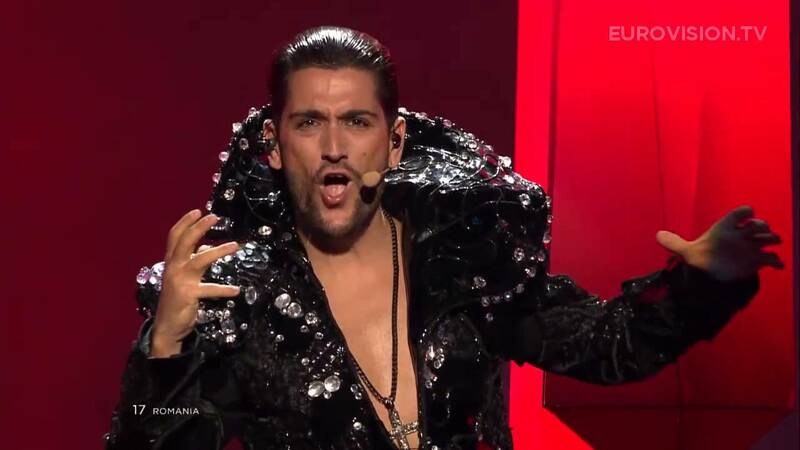 Eurovision provides us with the perfect opportunity to laugh at ourselves and also to wonder out loud what the hell goes on in other countries (opera-singing vampires, anyone?). It’s the reason I live for May each year. So how on earth is Australia allowed to compete? That’s an entirely reasonable question. The short answer it this: we asked begged for years to compete. And finally, we wore them down, so they let us in! Australian broadcaster SBS has been broadcasting the ESC into Aussie homes since 1983. We have plenty of people from Europe or with Euro heritage, so Eurovision has always had a strong following. Many of us love it for its kitsch value, and it’s a good excuse for a party. Now that we’re competitors, Australia just cannot get enough. For the 7th year in a row, SBS is again sending comedians/presenters Julia Zemiro and Sam Pang. I adore Julia (she can do no wrong in my book), however Sam can be a little hit-or-miss. As much as I love them and the SBS coverage, no one holds a candle to the spicy repartee of Sir Terry Wogan whose broadcasts would make you laugh out loud. Vale, Sir Terry. I am heading to Scandinavia before the event, first getting my feet wet in the adopted homeland of ‘Our Mary’ (aka Princess Mary of Denmark), before trekking up to Stockholm for Eurovision Week. A whole week! I have secured my tickets to Semi-Final #1 and Semi-Final #2, but missed out on the tickets to the broadcast final. But that’s okay. I am going to see where the wind takes me for the final. No plans, and it just feels like anything could happen. Even an Aussie win with Dami Im! I have been watching the Eurovision Song Contest for years in Australia and know there are plenty of people out there who share my love for the song contest that unites half the world. But getting to go is beyond special. The countdown to Eurovision is on: 59 days and counting! Here’s the winning songs from last year, and the reason I’m heading to Stockholm. More adventures in the Outer Richmond, Monterey, and the East Bay, as well as a visit from my best mate’s parents. 22.02.2026: I walked along the beach, feeling the sand underfoot and the wind on my face. 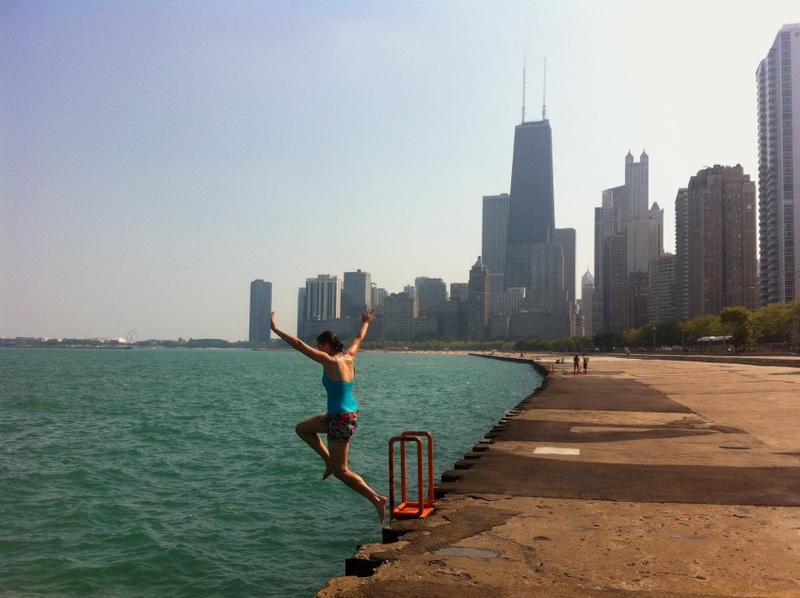 I watched a young girl displaying her joy being by the water, jumping and shouting into the wind. I saw a family with a very old Labrador, who was acquainting their new Labrador puppy with the fetching the ball from the water. I saw a seagull pecking at the various bits and pieces that had washed up along the tideline, in search of dinner. I tried to commit the colours and the sounds to memory. 23.02.2016: Posted at a ridiculous time of the morning. I can’t sleep, and even if I could it’s just one of those days. I can already feel it. And there’s no way to ride the wave of insomnia today because I know it’s going to be a big one with meetings and events and all of the pesky things I am not interested in. 24.02.2016: A little reminder that you will come and go in the blink of an eye, but these rocks have been here an eternity, and will probably stay for another. 25.02.2016: Found object, on grass. Thanks, Hannah. You’re real swell. 26.02.2016: Remnants of a pastry I was almost unable to procure because the girl behind the counter was unable to understand me. It took someone translating for me to get what I wanted. It was frustrating, and I don’t get it too much anymore, but it drives me nuts. I can only imagine how frustrating it would be having a thicker accent. 27.02.2016: A moment of respite. There were no cars, just the sounds of birds chirping as though they were reclaiming the business park under the big blue sky for themselves. 28.02.2016: Took Phil and Marg out today for an adventure. In the three or four times I’ve met them when they’ve visited SF, we’ve had very downtown-centric adventures. But today, I took them out to the Lands End trail and to visit the beaches. It was a good walk with plenty of great conversation, even though it was a little grey.